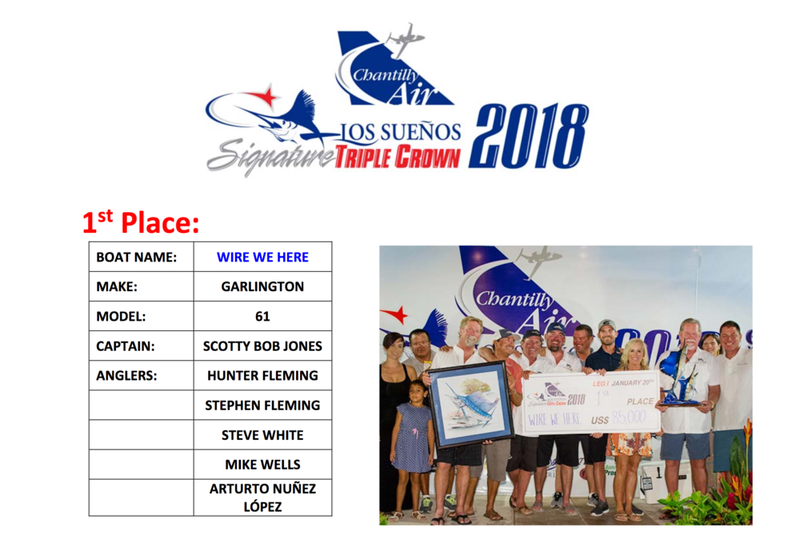 We are happy to announce that team Wire We Here and their Garlington 61' have won the first leg of the Los Suenos Tournament! Los Sueños Resort and Marina, located at Playa Herradura on Costa Rica's Central Pacific Coast, held the first leg of the 2018 Los Sueños Signature Triple Crown billfish series, presented by Chantilly Air, January 17-20. A total of 49 of the world's most competitive billfishing teams comprised of 236 individual anglers challenged each other over three days of fishing, releasing a total of 598 billfish, including 457 sails and 141 marlin. Nearly one out of every three fish released was a marlin. 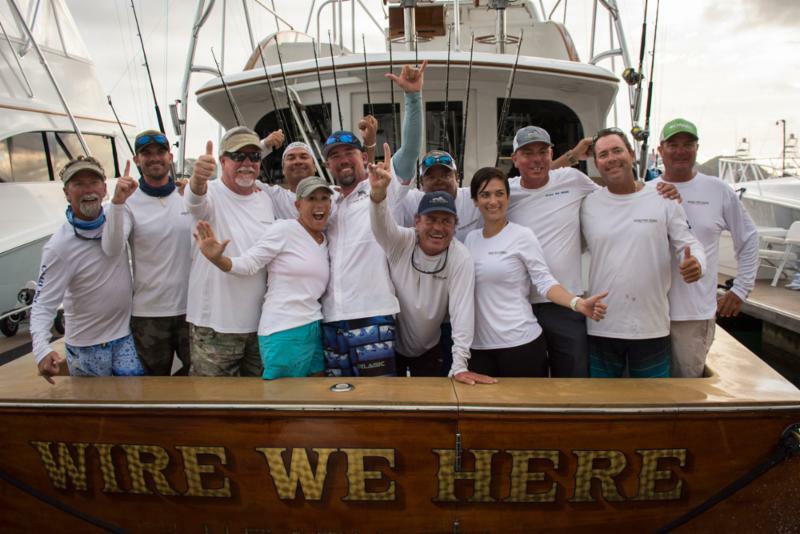 Congratulations to Captain Scotty Jones and his team for winning with 17 sailfish and 6 marlin releases for a total of 4,700 points in Leg 1 of the series! Much anticipated and long awaited, here she is!